It has been a few days since the tragic Germanwings-Lufthansa airline crash and we’re learning more terrifying news about both the events of that day and the co-pilot through hourly news reports fueled by information from investigators, friends of the co-pilot, and the airlines. The picture that’s developing is one we’ve seen before: a troubled, possibly mentally ill person who committed an atrocious act so that he may live on in infamy. And, much like this all-too-common narrative, the picture that’s developing is coming from information from the airlines that seem to possess far more insight into the mental state of their co-pilot than they had originally revealed. Whether in fact true or perceived, the airline seems to be slowly dribbling out information it must have known about the co-pilot long before the crash. Why, one wonders, are they so reluctant to share information with a public that is desperate for understanding? This, in brief, is the way most crisis events are told: slowly, methodically, oftentimes unwillingly to an audience that grows ever frustrated and ultimately feels betrayed, all to the detriment of the company that is at the center of the crisis. Corporate executives, their lawyers and communications professionals often argue about timing of statements when working together on a crisis. In fact, I think we always argue this point. For the communications professional, the urge to share information early in the course of the event is strong. We want to control the message and the narrative. We want to drive the conversation, not react to it. For many business executives and attorneys, however, I think their desire is to hold back information to see how the event will unfold (note: I wrote hold back and not withhold). They never want to give more information than is absolutely necessary, possibly to avoid providing evidence for a case of negligence, and possibly because not enough information is available to provide a clear statement of the facts. Ultimately, they want to tell the right story to their critical audiences. However, the narrative will write itself with the help of members of the news media, disgruntled parties and opposing attorneys, if left to do so. So, I think we should carefully, and thoughtfully share as much information as possible, as early as possible, after the information has been viewed with a legal eye and with a caveat: the disclaimer. When we place parameters of time around our messages, they provide us the necessary room to reveal additional elements of the story on our terms. Consider statements like: at this time, an ongoing investigation, the initial investigation has revealed, at a later point, as much information as we know at the present time. These statements provide us with critical safeguards that protect the client from the surgeon’s scalpel that many attorneys, “legal analysts” and news media “contributors” like to favor. Let’s face it, 24 hours is a long news cycle to fill. Crises test our inclination to be forthright and honest. Honesty is the best policy, though it’s not always the primary or overarching concern in a crisis. In fact, many companies grapple with balancing the public’s need to know with the need to protect from litigation, regulatory oversight, market devaluation and brand damage. And, while corporate attorneys and members of the executive team have a fiduciary responsibility to obey industry regulation, securities guidelines and the law, they also have to answer to a board of directors and investors who place tremendous value on their investment. As a result, companies often share what they perceive to be potentially damaging information slowly and somewhat reluctantly, citing restrictions like the pace of the investigation or privacy as the reason for their delay. As in the case of the Germanwings-Lufthansa crash, the airlines finally revealed the co-pilot suffered from major depression but they believed he had “been cured.” The reason for their delay was health care privacy, which has now redirected part of this narrative to a debate about privacy versus safety. While the debate may force a conversation about the current airline safety guidelines, it will not completely spare Germanwings-Lufthansa the blame, which is certainly headed their way in court. On this aspect of the story, the airlines should have reminded the public that they met industry regulations by requiring and receiving a clean bill of health from their pilot, and encouraged review of the current policy in light of the recent tragedy. Another point of contention is the idea that the pilot could have been “cured” from his major depressive disorder. I don’t believe the American Psychiatric Association’s Diagnostic and Statistical Manual of Mental Disorders states there is a cure for major depressive disorder. That point, like all messages released to the public, should have been thoroughly researched and confirmed by a mental health expert. Stating something so obviously incorrect is quite simply offensive to the public who has to hear it. Another key consideration when delivering difficult information during a crisis is the tone used. Tone is critical to developing empathy with our audience and empathy is necessary to survive with the least amount of damage to the brand as possible. Consider, too, that empathy is a two-way street. The company that is experiencing a crisis deserves empathy too, because a company is quite simply its people. The people who service the planes, work at the ticket counters, or in the mailroom are Lufthansa. A crisis like the Germanwings crash hasn’t just devastated the families of the victims; it’s hurt the people who work to make Lufthansa one of the most highly respected airlines in history. And, if you believe your organization is culpable in a crisis, consider admitting that point as soon as the evidence is clear. Better it comes from the company than regulators or a jury. A crisis of any kind is a terrible blow to the victims, as well as the people of the company it has struck. We often forget this point, but it is the one that makes the difference between the "us and them" mentality that can be fostered by opposing attorneys, analysts and the media. Empathy, however, is what turns the tide among customers, partners, regulators, media, and ultimately a jury. So, say as much as you can early with the necessary parameters to ensure you’re not injuring the company’s future, but with one caveat: convey it earnestly and with understanding, because your story has legs — make it work for you. 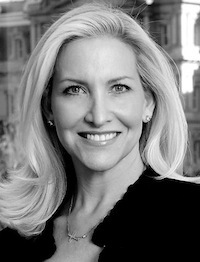 Melanie Thomas is managing director at communications firm Inform LLC based in Washington, D.C. She has over 20 years of experience in marketing and communications, from broadcast news to public policy, branding and public relations, representing leading organization in both the public and private sectors.